SCI is the largest Tanker owner in India, with a well-diversified fleet of crude oil tankers consisting of all sizes: MR, LR-I, LR-II, Aframax, Suezmax and VLCC Tankers. 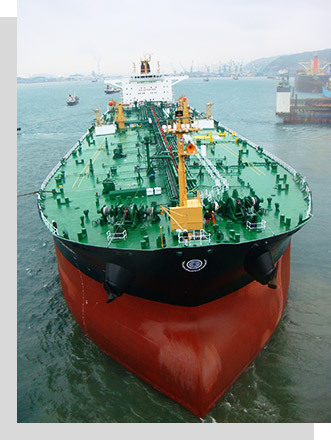 SCI's Tanker tonnage paralleled the growth of Indian oil industry since the mid-1970s. Till late 1990s the tonnage predominantly catered to Indian crude oil and product transportation. This was done keeping in view the specific constraints of terminals/ports in India and infrastructural limitations like draft, availability of tankages, length/capacity of jetties, etc. SCI's Tanker Commercial Department looks after scheduling and deployment of Tankers for feeding crude oil to various Indian oil refineries. Lighterage operations on the east and west coasts are also undertaken to facilitate quick turnaround of Tankers, which otherwise cannot call on ports due to port restrictions/limitations. The department also ensures commercial deployment of in-chartered tonnage, to meet its obligations of lifting cargo under the Contract of Affreightment (COA).